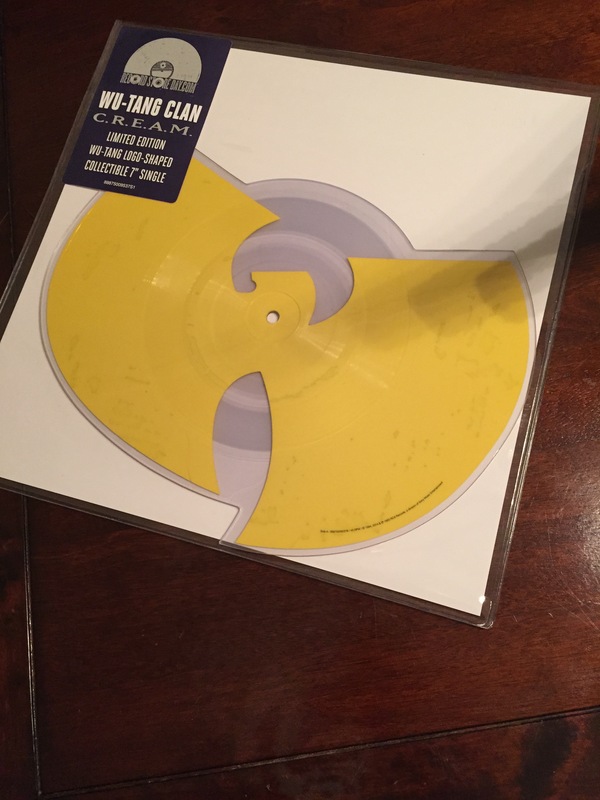 One of my most recent pick ups from last years Record Store Day, The 3rd single from 36 chambers that needs no intro. The piano and those bars still give me goose bumps. Die cut from full size and limited to 5000 worldwide, collectors get on these before mother fuckers start gouging. Rather than play the OGs I thought Id leave you with the souled out sounds of the El Michels Affair covers. Check them cover 36 chambers in it entirety on the ’37th Chamber’ if you haven’t already, it’s dope! 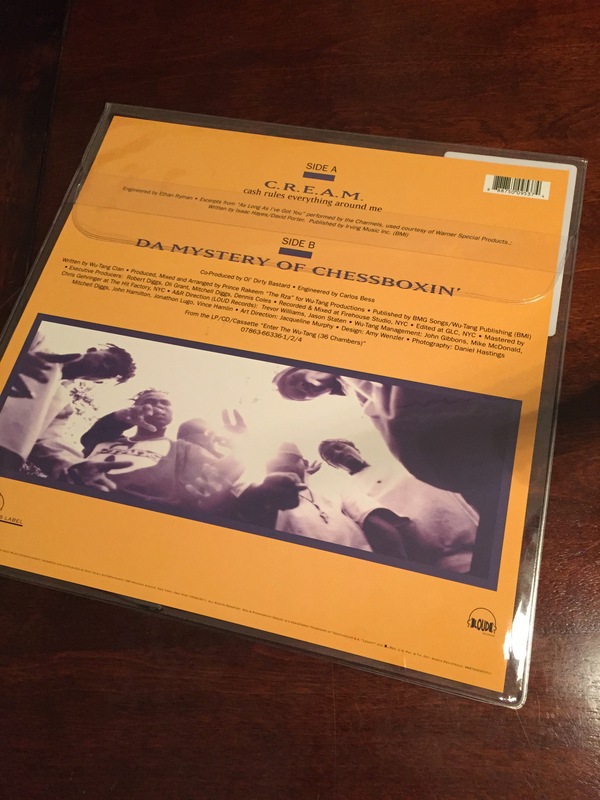 Posted on January 9, 2015, in 45 FRIDAY and tagged 45 Friday, 7" Vinyl, C.R.E.A.M, Hip-Hop, Hip-Hop 45s, Vinyl, Wu-Tang. Bookmark the permalink. Leave a comment.